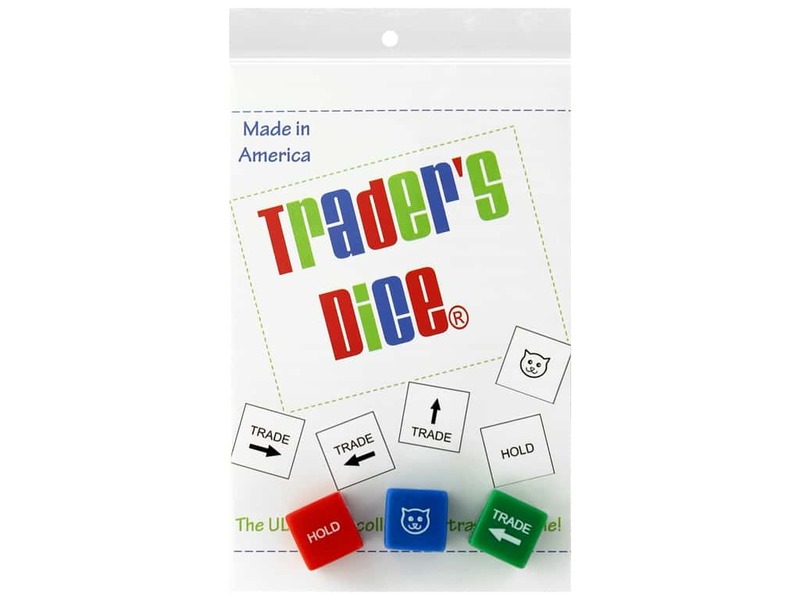 Description: Stitchin Tree Traders Dice- Have fun trading any collector's items including: fabric, notions, patterns, papers, tools, embellishments, trading cards, stamps, coins, and more. This game makes trading fun, easy, and fair. Play with three or more people, the more the merrier. Roll the dice, trade to the left, trade to the right, trade across the table, or steal from the kitty. And the best part is, that everybody wins. Includes 3 dice and instructions.